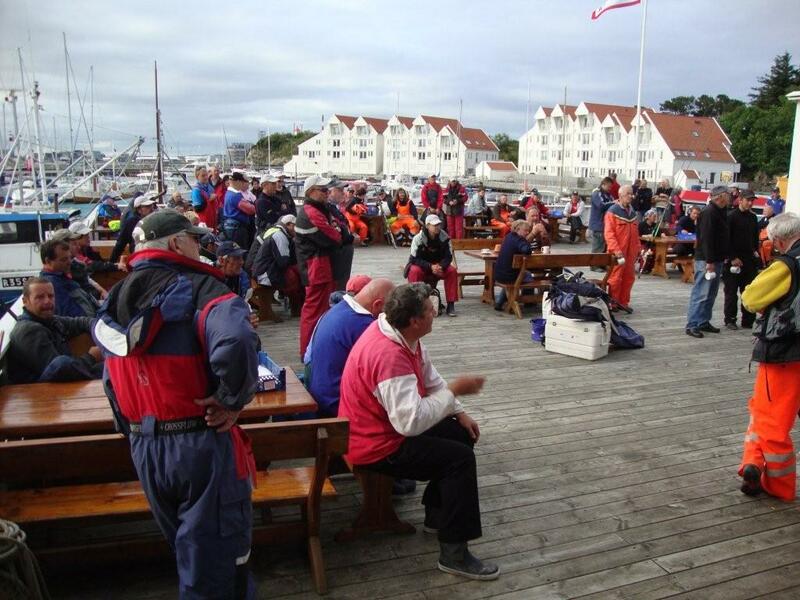 Day 1 and 86 competitors mustered on the balcony area of the Hummeren hotel where many of the anglers were staying. The area was well laid out with the boat numbers on a table each so you could join your fellow anglers for the day before the short walk to the boats. 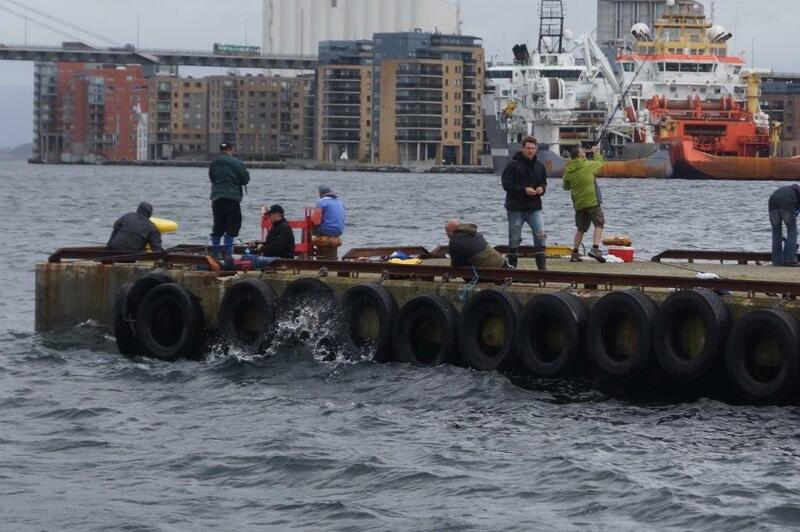 The boats for the competition were a mix of 4 large wooden ex fishing boats with a split of 5 anglers on each side with each side as a separate boat for the purpose of the competition. Most of the other boats were modern fishing/pleasure boats and a couple of open boats! These other boats fished 4 anglers so giving a total of 20 boats. The boats all left harbour at a steady 8 knots, the speed set by the organisers so that there was no advantage to be had by the smaller faster boats, all moves during the day were at this speed and it was only when heading back to port after the days fishing that the purpose built modern boats could go at their more usual respectable speed. As to the fishing grounds, once the boats left the harbour they spread out to their chosen marks many of which were guided by the Norwegian boat captain who was also fishing the competition who knew the waters well. A very interesting scene once the boats left harbour, there were many small islands and varying degree of rock formations rising out of the sea, some with a lighthouse on, some with a marker post and many with just the resident population of birds and seals. As to the fishing it soon become apparent that fishing was very patchy and many small fish on the marks. On return to shore some told of the shoals of haddock, redfish and gurnard they encountered whilst other anglers only saw the occasional one or two of each species. The main species encountered were cod, haddock, whiting, coalfish, redfish, grey gurnard and dab, with lesser numbers of ling and tusk. Pout were unclassified with only the occasional 1 to a boat but most welcome for 12 points! Out of the 20 boats there were 3 English boat winners on day 1, Paul Hart, Matt Osborne and Mark Smith. 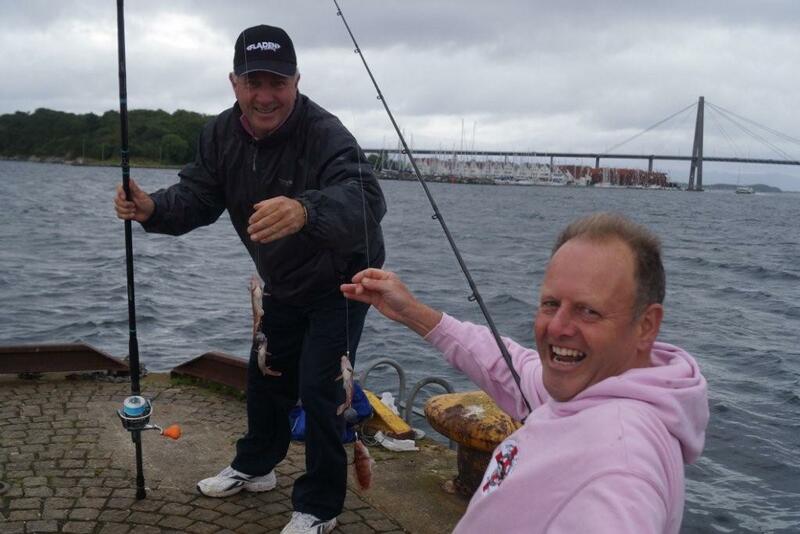 Day 2 was cancelled due to strong winds but a fishing event took place with the England competitors staying in Stavanger holding a shore species match off one of the piers. 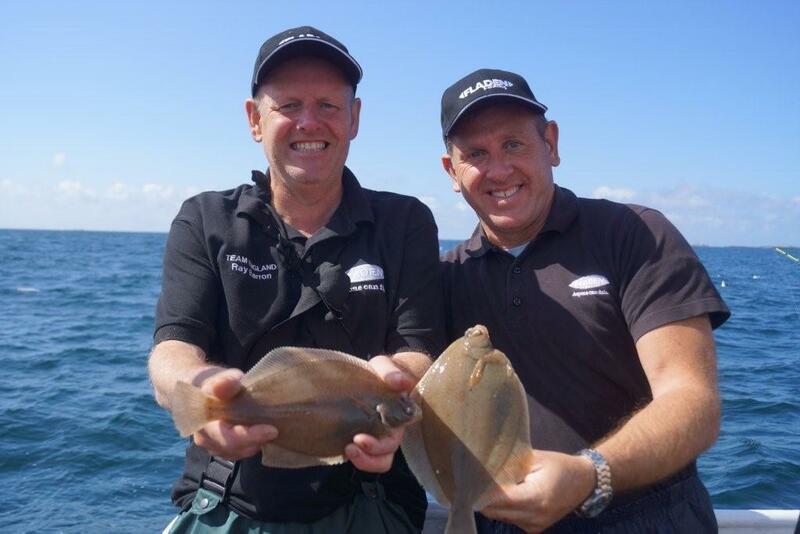 13 species were caught including a good-sized cod by Mark Smith after it took a liking to the poor cod that he had hooked! This gave Mark the biggest fish award with the smallest fish being a goldsinny wrasse achieved by Pete Bailey. On the Friday at the morning muster prior to fishing there was a special award made by the Norway organisers to mark the England shore match, which saw Ray Barron presented with a cup as the one with the most species over the 3 hours. On day 3 there were 4 of England as boat winners, Ray Barron, Billy Cann, Neil Bryant and Paul Hart again which gave him 2nd in overall position with one day to go. 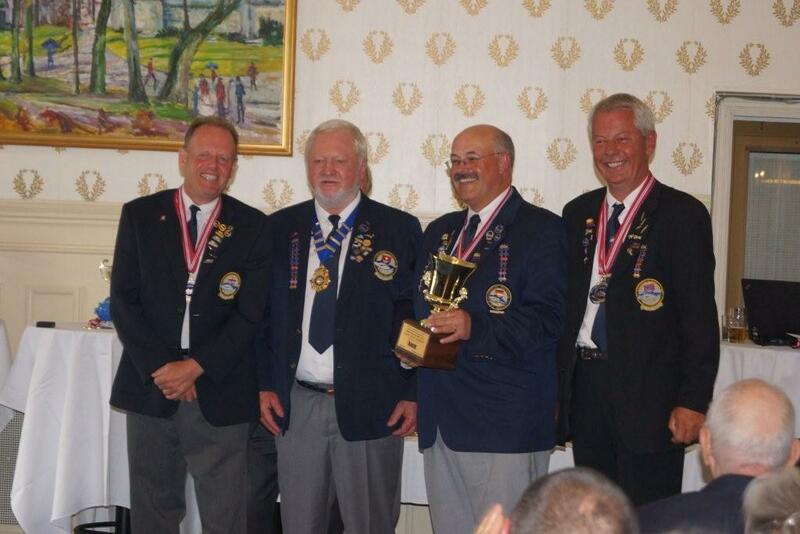 The final day of the Boat Championship and England were getting better with 6 boat winners, Ray Barron, Mark Smith, Billy Cann, Perry Dack, Gary Gailbraith and Kim Bowden. Unfortunately Paul Hart drew middle of one of the large boats and could not manage to make it 3 wins in a row despite the good wishes and high hopes for Paul from the rest of England competitors. This is just the one day decided on fish points so it is largely down to luck of the draw that you are on the boat that knows where the fish are. This year all competitors were given the same 8-pound Ande nylon line to use. Biggest fish caught on it was a cod of about 12 pound, though most of us never got anything to put the line and anglers skill to the test! The same score card as the main championship was used but with an extra 10 points for fish over a nominated length. But with this scoring there were still a lot of points to be scored for cod and gurnard of 4 ounces, not really in the spirit of a line class championship. Again the boats spread out once they left the harbour but by now the last day of the week most realised there was little to be gained from steaming to the far marks when there was as good a size inshore and in general a lot more and varied fish to be had. Saturday and it was time to see who had had a good weeks fishing and was up for the awards and to bring the week to a close. In the afternoon the presentation was held. 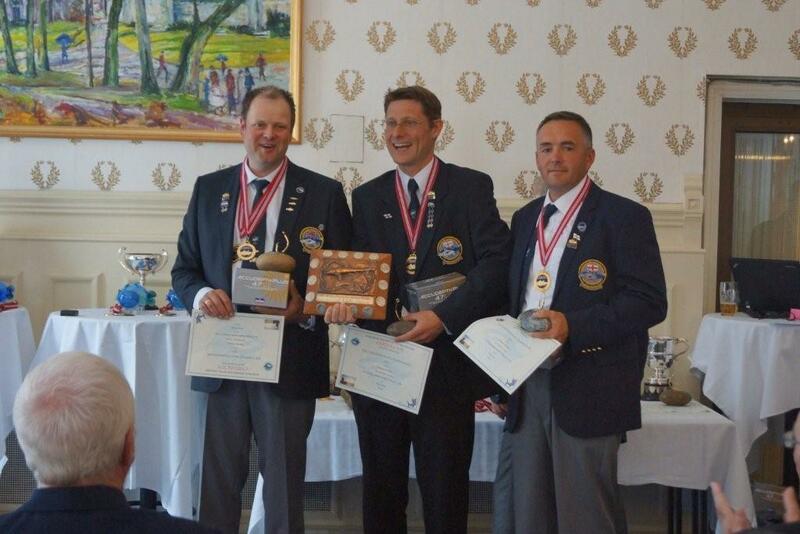 As is usual with these championships the host nation perform well, and in this case we had some of the top fisherman in Norway who come out on top with their home competitions so it was no surprise they did well in this Championship. There was the usual line up of fishing gear but for the top awards the Norwegian section had special awards crafted which was a polished stone with a large circle hook mounted on it, with the hook plated in gold, silver or bronze, a very fitting award for this the 50th Championship, and pleased to say that many from England collected a reasonable share. The gala dinner was held in the Victoria hotel, Stavanger. There was a fine buffet with a good selection of dishes and plenty of food to allow people to return to sample a little more of the fare all washed down with a glass of wine. 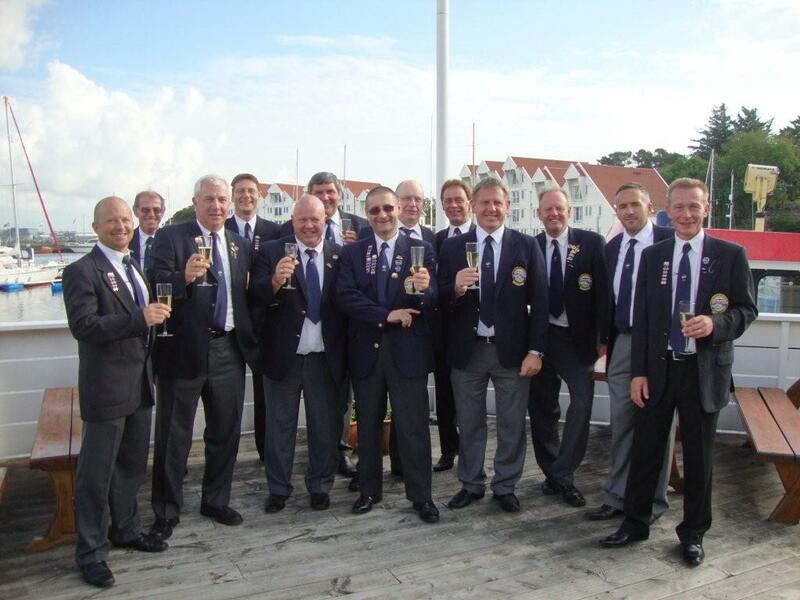 At the end of the dinner the EFSA flag was officially handed over to Denmark who are hosting the 2013 Boat and Line Championships. The tables were then cleared at one end to free up the dance floor while the 2-piece band set up. While a lot of people left, some because of early flights and others due to the time of evening there were still a good few remaining to enjoy the music and company and so I am told the final farewells were not said until a couple of hours into the Sunday morning. Open team of 4 in 3rd place was the team of Ray Barron, Perry Dack, Paul Hart and Neil Bryant. This is now just the one-day with placing on fish score only. 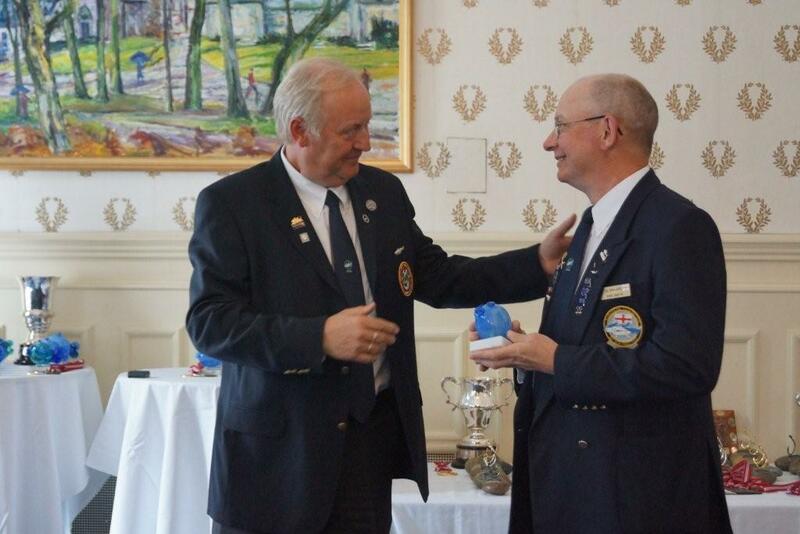 The pairs were won by Ray Barron and Neil Bryant. The seniors were won by Ken Smith.